We all have times in our lives when the results of our behavior don't seem to be meeting our needs. These shortfalls may result in depression, anger, frustration, and relationship struggles, among a host of possible symptoms. It often seems difficult to see a clear path out of the problems. Even when we try to change our behavior, it doesn't stick - before we know it we're right back where we started. In this new book, Hyrum Smith does two things that are invaluable to people who wish to make their lives less painful. First, he reveals, through a clear and simple model, how we get to the point where our behaviors cause these kinds of problems. 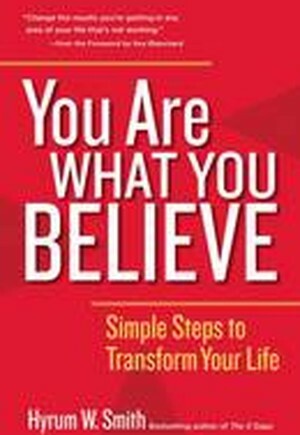 Then, with a simplicity that is impressive in itself, he describes the steps we must take to identify and rectify the beliefs leading to our painful behavior. Through the use of the Reality Model and the concept of the Belief Window, illustrated through humorous anecdotes and a powerful experience at a high school, Smith not only lays out the intellectual framework of his approach but draws you in emotionally as well. When you are done, you will agree with him that the solution to our problems is simple. It's not easy, but it is simple.